DENVER, Pa. – Members of a new, youthful generation of collectible-firearms enthusiasts are expected to join advanced collectors at an important auction event slated for February 5-7 at Morphy’s southeastern Pennsylvania gallery. With 1,815 lots of coveted rifles, small arms, quality accessories and ephemera on the agenda, there’s little chance that anyone will go home empty-handed. For those who cannot attend in person, the illustrated auction catalog, with detailed descriptions written by Morphy’s elite team of firearms specialists, is now available to view online. All forms of remote bidding are available, including phone, absentee, and live via the Internet through Morphy Live. Day One – Tuesday, February 5 – encompasses a tremendous quantity of World War II military and contemporary US military rifles. Additionally, there are large offerings of modern and contemporary sporting handguns; a sizable collection of Colt collectible handguns (including 20 Pythons, Diamondbacks and Anacondas); and numerous Colt automatic handguns. Also featured is the largest number of Smith & Wesson revolvers ever to be presented in a Morphy firearms sale. Later in the opening session, bidders will be able to take their pick from high-grade sporting shotguns by A.H. Fox, Beretta, Browning, Ithaca, L.C. Smith, Parker, and many European makers. Toward the end of the day, American history will be in the spotlight in the form of Civil War rifles, carbines and handguns, together with many ultra-desirable revolvers by Merwin Hulbert, a New York-based company that produced its guns in Connecticut from 1876 through 1916. “During the late-19th century, Merwin Hulbert revolvers were used by police departments in many Eastern U.S. cities,” said Tony Wilcox, Morphy Auctions’ expert on Colt, Winchester and 19th/20th century militaria. Day Two – Wednesday, February 6 – begins with a fine selection of contemporary and collectible military firearms, both foreign and domestic; and progresses into a blue-ribbon array of Browning rifles and shotguns, and a mini armory of custom European and American rifles and shotguns with a strong emphasis on Remington and Winchester. Next in the lineup is a lifetime collection of Italian Beretta pistols, followed by superb Colt automatic pistols, including the especially desirable Models 1903, 1908 and 1911. European military handguns are led by exceptional examples manufactured by German powerhouse arms companies Luger, Walther, and Mauser; as well as P38s made by Spreewerke. Also to be offered are Japanese Nambu semi-automatic pistols that were produced by Koishikawa Arsenal (later known as Tokyo Artillery Arsenal). Wednesday’s session is sure to attract American history buffs, with its many remarkable Civil War rifles and carbines. These guns will be in esteemed company alongside prized Winchester rifles, Colt revolvers, and the day’s closers: early American and European high-grade sporting rifles and shotguns. The Thursday, February 7 closer is, by far, the most varied of the three auction sessions. It consists of many group lots, starting with collectible European military firearms of diverse origins, including Russia, Great Britain, Germany, Poland, France, Czechoslovakia, Italy, Japan and China, as well as the United States. Other group lots focus on American sporting firearms by Remington, Marlin, Winchester, and Henry. There will also be moderately priced sporting and collectible firearms by Winchester, Beretta, Colt, Glock, Ruger, and Smith & Wesson. Already an object of fascination to collectors who’ve visited Morphy’s gallery or viewed the online catalog is the premier single-owner collection of American military and Winchester ammunition boxes. “This is definitely one of the finest collections of its type that I’ve ever seen,” said Tony Wilcox. “It was built over fifty years and has a timeline that runs from the Civil War through present day.” The collection will be followed by sporting and firearms-related calendars, advertising signs and associated ephemera from Winchester, Beretta, and Colt. The auction will close with group lots of small accessories, including gun leather (slings, cases, holsters, etc. ), magazines and books. 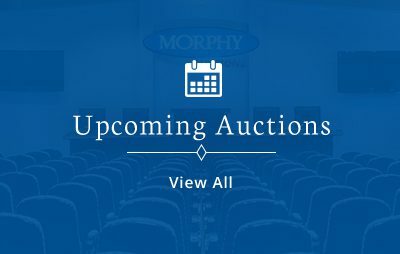 The February 5-7, 2019 Field & Range Firearms Auction will be held at Morphy’s gallery in Denver, Pa., starting at 9 a.m. Eastern Time each day. All forms of bidding will be available, including live via the Internet through Morphy Live. Questions: call 877-968-8880, email info@nullmorphyauctions.com. Online: www.morphyauctions.com.